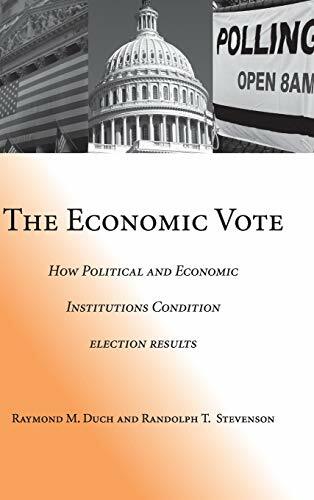 The Economic Vote: How Political And Economic Institutions Condition Election Results (Political Economy Of Institutions And Decisions): 9780521881029 Hardcover - LIMEROCK BOOKS INC. The book explains how different political and economic circumstances account for the variation in the economic vote. Based on the analysis of 165 public opinion surveys from 19 countries, the authors demonstrate that their explanations are empirically sound.